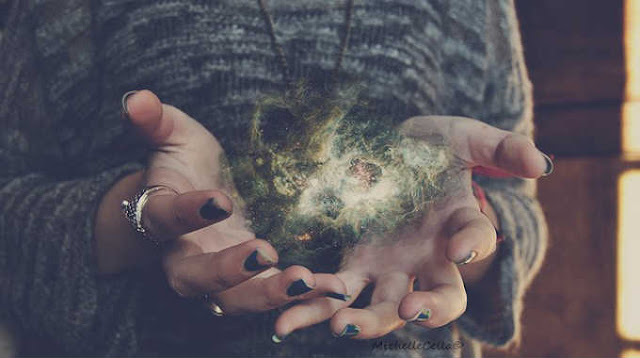 There are many ways to practice psychic abilities, yet most of us find it challenging to find tools that help take our abilities to the next level, especially as beginners! To make them useful, these tools also have to be widely available, reasonably priced, and effective, which is not always the case. Let’s examine some of my favorite and most highly recommended psychic development tools! Unlike tarot cards, oracle cards do not follow a specific hierarchy or structure and have meaning based on the author’s preferences and creativity. They are typically much easier to learn and can provide insights very helpful to those trying to increase the volume of their inner voices. With daily use, I often can “hear” the answer to my question psychically before I view the cards I have drawn, making this tool my favorite and most reliable over time. A pendulum is a great tool for yes and no answers. Parapsychologists believe the pendulum moves by the ideomotor effect, whereby our own muscular system is responsible for moving it, meaning that we are subconsciously answering our own questions. However, I have successfully used a pendulum to find lost objects, identify my spirit guides, and identify spirit energy in a room. The more I have used pendulums, the clearer my inner voice has become. Better yet, any small object that creates a weight on a piece of string, even a paperclip, can be used as a pendulum, making them readily available and basically free! You might be wondering how writing can help improve psychic abilities, but bear with me here. Journaling your experiences, symbolism and messages in your dreams, and interpretations of signs and symbols (think feathers, pennies, animal guide appearances) is incredibly helpful during this journey! Documenting your progress not only boosts your confidence, but reviewing some of your previous experiences and interpretations can allow you to better receive information and guidance – just as you might see a movie a second time and pick up more of the story, you may find yourself understanding a message more clearly or picking up nuances with your improved psychic abilities that you missed the first time. Science has shown that listening to binaural beats allows the brain to reach a state comparable to meditation (using electroencephalogram (EEG) readings as evidence). This is particularly important for those of us that struggle to quiet our minds and meditate regularly! Quite a few options are available free on sites such as youtube, itunes, or amazon, but you must listen using stereo headphones to get the full effect. Many have added nature sounds or subliminal messages to enhance the effect. I would recommend using those that specifically state they are for improving psychic abilities or ESP, raising your vibration, or opening your third eye. 5.) Crystals for Protection & Enhancement. Crystals can be very powerful and protective for anyone trying to improve their psychic abilities. Black tourmaline is very helpful in protecting one from negative energy or entities. Labradorite is a very powerful stone for spiritual protection. Known as the “wizard’s stone,” it is believed to assist in connecting you with your spirit guides and protect anyone involved in a reading from harm. These (and other) crystals may be carried with you, worn in jewelry, or used during divination or meditation. Quite a few energy workers I know wear crystals to protect their energy fields. We all know about the power of dreams, especially to give us insight into issues we are struggling with, but dreams are excellent when used to seek guidance and support for our psychic development. The best method I have found for using dreams this way is to ask a specific question for which you wish to obtain guidance prior to going to sleep. If you wake to a dream, immediately write it down. Also, note any music you wake up hearing or other thoughts you have upon waking. I very frequently awake to songs that are directly relevant to the question I asked – and note as well if the words you are hearing match the tune, but are different than the original song – therein lies your answer. The Psychic Library (2017). Gemstones and Crystals for Developing Psychic Abilities. Psychic 101 (2012). Tapping Into Higher Spirituality and Awareness Using Binaural Beats.